Is Glenn Beck The Future Of Television? What’s the future of television? It might be online. Glenn Beck’s new online-only show, GBTV, kicked off with a bang to the tune of 230,000 paying subscribers — before any episodes were released. That’s more than Oprah’s entire channel netted in June, according to the Wall Street Journal. Beck will be speaking on his new ventures at IGNITION: Future of Media, Business Insider’s executive conference taking place November 30 to December 1, 2011, in New York. IGNITION will bring together key stakeholders and executives to discuss what’s happening now, what’s coming next, and how it will affect your business. The conference is produced by Business Insider, one of the fastest-growing digital-media companies in the world, and hosted by Henry Blodget, Business Insider’s founder and CEO. Who says being the king of digital media doesn’t pay? The founder of the Drudge Report paid in cash. It pays to be the water-carrier of the Right. The reclusive Drudge didn’t respond to a request for an interview. Sounds like Drudge will be able to entertain the likes of Karl Rove in perfect privacy. 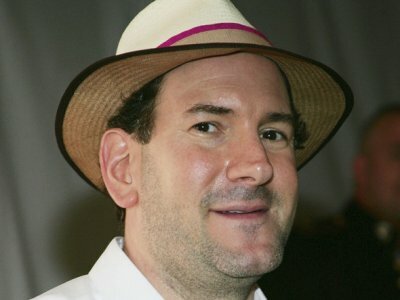 In 2003, Drudge purchased a $1.4 million house right off Miami Beach’s Venetian Causeway. The big story of the day in finance is the bankruptcy of MF Global — the futures trading house run by ex-Goldmanite Jon Corzine. Even before filing for bankruptcy, the firm was suspended from dealing with the New York Fed, and two exchanges banned the firm’s traders from accessing their trading floors. A major contributor to the firm’s downfall: Outsize risks taken by Corzine, as it bet heavily on European debt last year, something that obviously hasn’t gone so well. So what happens when the firm goes bust, Corzine leaves, and lots of other people lose their jobs? 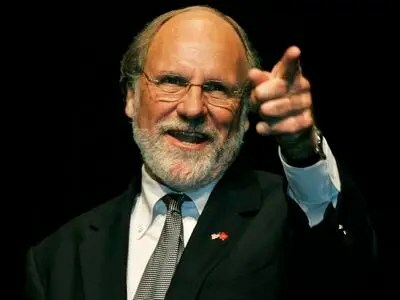 DealBook reported that Corzine’s severance package could allow him to walk away with around $12 million. If anyone in the Obama campaign is considering using gun control as an issue in next year’s campaign, the Republican Party should encourage them with a sizable donation. The latest national-issues poll from the Gallup organization confirms what Barack Obama’s two unsuccessful predecessors found out the hard way — a strong majority of American voters do not favor gun control and will prove it with their votes. The Gallup survey reflects not a sudden spike in support for firearms rights, but rather the culmination of a generational effort by the National Rifle Association and other organizations to reacquaint Americans with the Constitution. For example, a half century ago, according to a 1959 survey, more than half of all citizens — 60 % — supported an outright ban on handguns. That sentiment led to Congress passing the first national gun control law of the modern era in 1968. That act, however, served as a wake-up call to millions of Americans who understood that the right to keep and bear arms — enshrined in the Bill of Rights as the Second Amendment — protected a fundamental right, but one that clearly was susceptible to being undermined by politicians. Google Inc. on Friday announced an update to the software for Google TV, a service designed to expand the company’s footprint into living rooms. Google TV had such potential when it launched in October 2010. But for many users, the lack of Hulu — along with the awkwardness of the interface and lack of cooperation from TV networks and content providers — was a huge turnoff. Now Google aims to fix that with a massive overhaul, upgrading Google TV with its Android operating system. Google announced on its Google TV blog Friday that the platform will be upgraded to Android 3.1 (otherwise known as Honeycomb) for Sony devices Sunday, with the Logitech Revue set-top box getting its upgrade “soon thereafter.” Screen shots at link above. The company said it simplified the Google TV software, which allows users to access the Internet and search for Web-video content through their TV screens. Google also said it improved the way people can simultaneously search for content on their live TV listings as well as Google’s YouTube video site, on-demand shows available on Amazon.com and Netflix.com, among others. Viewers can choose to limit their searches to just high-definition content. Google has highlighted four key goals they’ve focused on to make the Google TV experience better. We’ll have to reserve judgment until we can install this software update on our Logitech Revue box, but for now, clearly this update has great potential. It makes perfect sense for Google — purveyor of Android, the Chrome browser, YouTube and by the way, the world’s search expert — to leverage these powerful capabilities in its TV set-top. The hurdle Google needs to navigate is not so much a technical or software one, but a matter of negotiating and arm-twisting of content providers. Will the company gain cooperation from TV networks and movie studios, allowing their content to be searchable on the Google TV platform? That’s the key to Google TV’s success. Japanese electronics maker Panasonic Corp forecast an annual net loss of 420 billion yen ($5.5 billion), its worst in a decade, as restructuring costs soared and weak demand in the United States and Europe eroded income. Panasonic, grappling with the cost of layoffs as it cuts expenditure and strips out overlapping businesses after its buyout of subsidiary Sanyo, was also hit by a soaring yen. The loss, which will be its second biggest ever, compares with the company’s previous forecast for a net profit of 30 billion yen in the year to March 2012 and last year’s net profit of 74 billion yen. “What we need to tackle is the television and related semiconductor businesses,” Chief Financial Officer Makoto Uenoyama told reporters. You are currently browsing the Tarpon's Swamp blog archives for October, 2011.